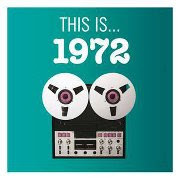 More on-air celebrations of 1972 continue this weekend as Ruby's Roadhouse hosts a Class of 1972 Reunion featuring the songs and vinyl sounds of albums released in 1972! Ruby's Roadhouse, this and every Saturday at noon. Bob Girth, host of The Hub, takes over the Sunday Mini-Series from 6 to 8pm for a special preview of the bands performing and the1972 albums that they will be covering for KXCI Celebrates 1972 benefit concert Saturday Aug. 25th at The Rialto Theatre.